Mixpo, the video-advertising company, appoints Emily Carrion as its Director of Communications. Mixpo, the video-advertising company, is pleased to announce the appointment of Emily Carrion as its Director of Communications. Carrion brings both entrepreneurial and business experience to the post, where she will lead PR, content marketing, CRM, social media and research efforts. Carrion will report to Walter Harp, VP Product Marketing, and be based at the company's headquarters in Seattle. Carrion joined Mixpo in 2012, as a senior marketer where she focused on partnership marketing, CRM, social media and delivering the Multiscreen Video Advertising Report. 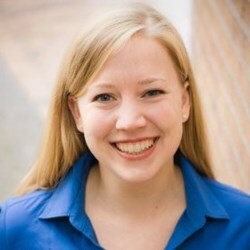 Her connection to the startup community began while she earned her Masters of Business Administration from Seattle University in 2010. There, Carrion became very active with the Entrepreneurship Center where she won two SU Business Plan competitions and worked alongside many founders. She presented the winning pitch for Point Inside and was promptly hired in 2009. While at this rapidly-growing mobile start-up, Carrion ran large teams, managed customer accounts, mobile app releases and culminated with leading the company's marketing efforts. "We are incredibly excited for Emily to take the communications reigns for Mixpo. She brings to the table exactly the right level of drive and strategic intelligence along with deep industry experience," said Walter Harp, VP Product Marketing. Carrion serves on the Board of Directors of Seattle University Entrepreneurship Center and is active in the Seattle Start-up Community -- as both a graduate of Founder Institute and a Start-up Weekend winner. Mixpo provides the industry's best video advertising solutions and most responsive service. Our leading edge technology enables media companies and agencies to execute multiscreen video campaigns with speed and ease. We furnish Big Data insights including ad verification and campaign performance segmented by DMA, audience, and mobile device. In 2013, Forbes named Mixpo one of America's Most Promising Companies. The IAB selected Mixpo as a winner of its Digital Video Rising Stars competition. Mixpo is headquartered in Seattle, with offices in New York, Boston, and Victoria BC.